This book presents diverse case studies from around the World, including many Asian countries, Africa, North and South America, Europe, the Middle East, Island Nations, and elsewhere. The book’s 39 chapters are organized according to seven interrelated themes including global to local scales of ICZM, human dimensions and social, physical and biological aspects, and key closely linked topics ranging from biodiversity conservation to hazards and risk management, the impact of climate change, and the application of remote sensing and geospatial technologies. 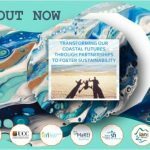 The outcome of this compilation is to synthesize recent case study experiences, highlighting the changing global scenario of ICZM, the high demand for coastal resources, current lack of governance, and the need to import and export both techniques and expertise, including the importance of protecting more vulnerable coastal sites from natural calamities. Ultimately, this book provides a means to help address and solve the complexity that exists between coastal systems and anthropogenic activities.